Barry Gordon was born in Brooklyn, Massachusetts on December 21,1948. He began his career at the age of 3 as a child singer and actor. 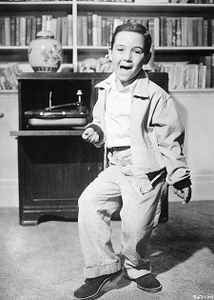 At the age of 6, he recorded "Nuttin' for Christmas," still listed as one of the top 10 best-selling Christmas records of all time. He went on to become a fixture as a character actor in feature films and television and later became the longest-serving President in the history of the Screen Actors Guild.